A Herbal treat and soap free formulation prevents acne an pimple and deep cleanses all impurities from the pores. 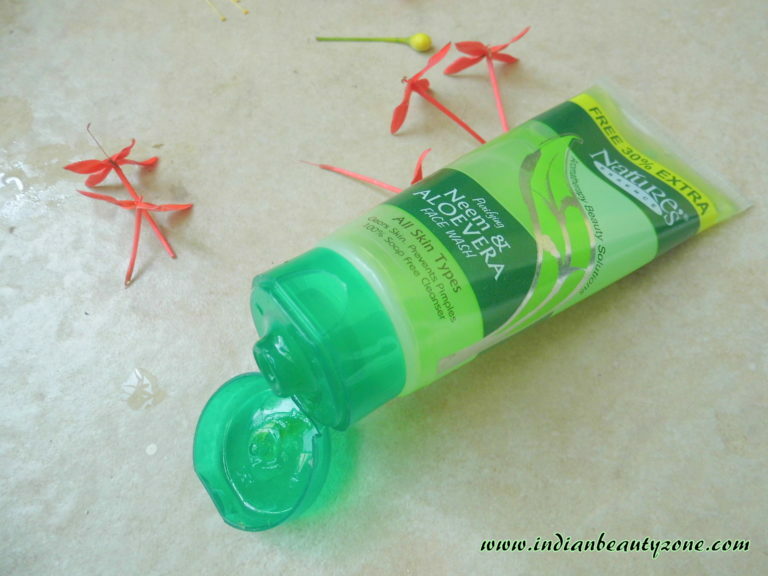 This gentle and effective face wash is blessed with Neem, Aloe Vera and Turmeric. 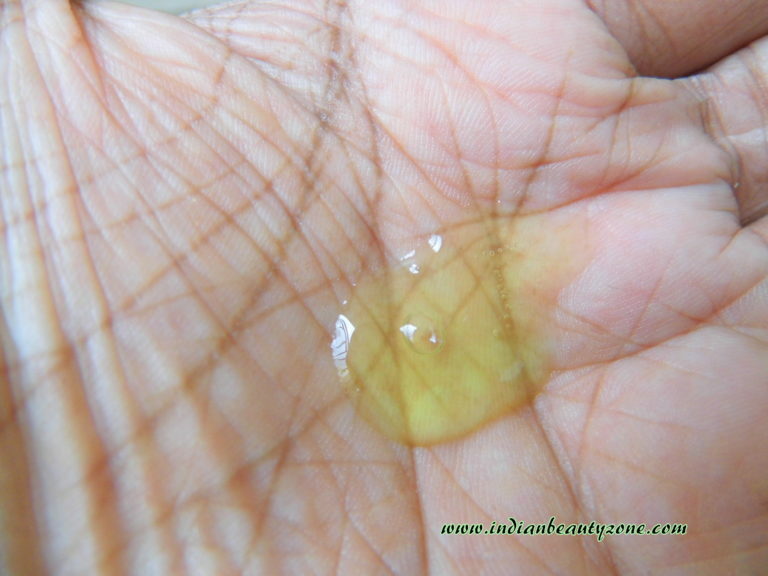 Neem is a Kown source for eliminating problem inducing bacteria. 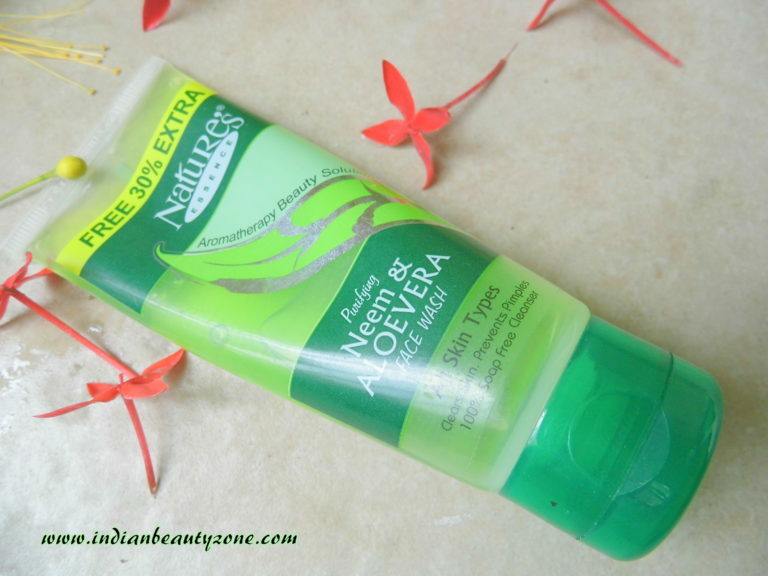 Aloe Vera is an excellent moisture balance maintainer and Turmeric is useful for keeping acne and pimple free skin with a dew like freshness and softness. 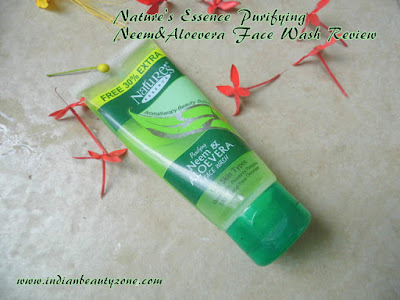 The Nature's Essence Purifying Neem and Aloevera Face Wash comes in a usual face wash package, it is a transparent packaging and you can see the refreshing green colour face wash inside, it has a dark green colour flip open cap which is travel and user friendly. The texture of the face wash is not so runny but it is a thick gel like liquid which use o stay on your palm when you lather it with water to use. 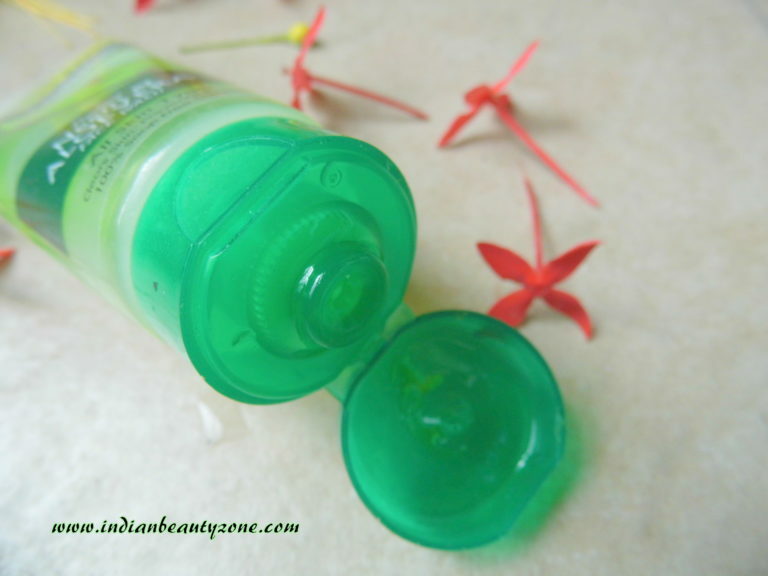 The face wash is in refreshing beautiful green colour. It smells mild and pleasant herbal like smell. I was using this face wash in summer which was very helpful at that time. I have half of the face wash left with which is waiting for the next summer. I found it is pretty good as a herbal face wash for all skin types. This face wash lathers very good enough to clean an oily face well. It leaves skin clean and smooth. The smell feels fresh and pleasant. It never dry out my face and I was using it thrice a day sometimes, but not so regular. Whenever I feel so oily and I have zits on my face I use this face wash sincerely and yeah this face wash worked sincerely too. It reduces the pimples and makes skin smooth. It is a soap free cleanser so it is very mild on my sensitive skin and gives a soothing feel always when used. A small amount of the face wash is enough for each time use. Overall it is a good mild herbal and soap free face wash which is suitable for oily skin. Herbal and soap free face wash.
Leaves skin smooth and clean. 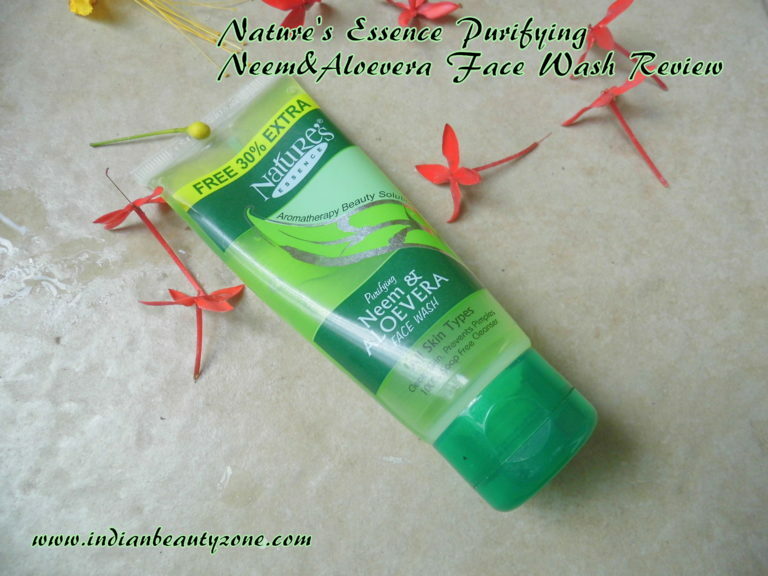 Goodness of Neem and Aloe Vera.